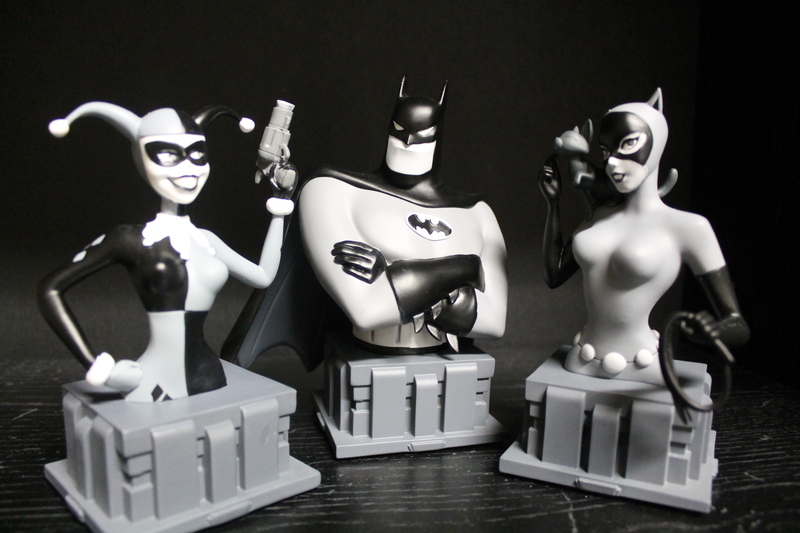 “Mistah J” would be thrilled to check out the latest addition to the Batman: The Animated Series bust collection by Diamond Select Toys… that’s right, it’s none other than Harley Quinn! A character originally created for Batman: The Animated Series by Bruce Timm and Paul Dini, Harley Quinn was so popular on the show that she’s spread to comics (even getting her own series! ), video games, and movies (with her film debut in this summer’s Suicide Squad)— and now, her original animated look has been immortalized by DST! This New York Comic-Con exclusive black and white bust was released in a limited set of 1500 pieces (each individually numbered on the bottom of the base, the box, the seal, and of course, the certificate of authenticity), and was available only at NYCC last weekend. It stands at about 6 inches tall, and features an art-deco base that reflects the noir-era feel of the animated series. While Harley is typically a very colorful character, black and white suits her well, no doubt due to the excellent sculpting work done by Varner Studios. Every detail of Timm’s timeless design is impeccably re-created, from the baubles that dangle off of Harley’s collar to her comically oversized cork pistol. DST and Varner have really knocked it out of the park with this bust, doing wonderful justice (pun partially intended) to a character that really sums up the impact of Timm and Dini’s work on Batman: The Animated Series. 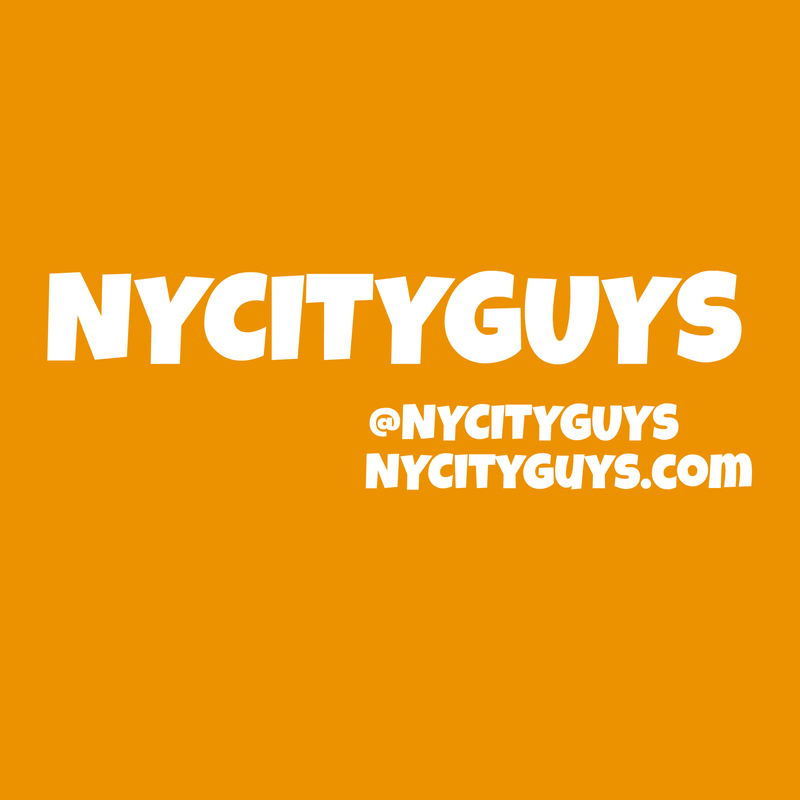 For more about New York Comic-Con, be sure to check out our NYCC preview post, and get your news and reviews about all kinds of Bat-media right here From the Batcave! And keep an eye out for more Diamond Select Toys highlights– we’re featuring their Gotham Select “Roughed Up” Penguin figure, Batman: The Animated Series busts, Gotham MiniMates, and a special look at their upcoming products from Gotham, Batman Classic TV Series, and Batman: The Animated Series direct from their NYCC booth! ← Survive Your Next Convention with SuperHeroStuff’s Batman Distressed Symbol Backpack!